A refreshing source of ideas for creating fine art with children, "Art Lab for Kids" encourages the artist's own voice, marks, and style. This fun and creative book features 52 fine art projects set into weekly lessons, beginning with drawing, moving through painting and printmaking, and then building to paper collage and mixed media. Each lesson features and relates to the work and style of a contemporary artist. Lisa Congdon, Megan Bogonovich, and Amy Rice are just a few of the artists included. The labs can be used as singular projects or to build up to a year of hand-on fine art experiences. The lessons in this book are open-ended to be explored over and over-with different results each time Colorful photos illustrate how different people using the same lesson will yield different results, exemplifying the way the lesson brings out each artist's personal style. 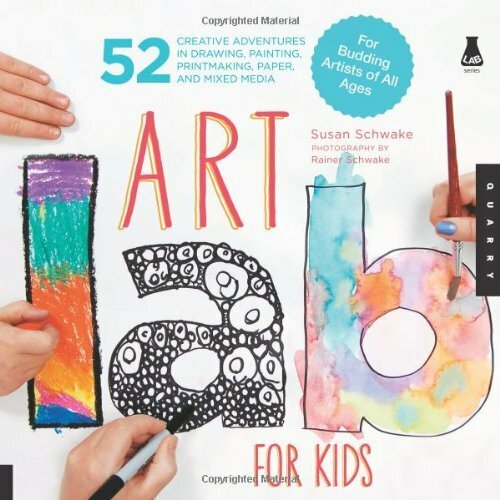 "Art Lab for Kids" is the perfect book for creative families, friends, and community groups and works as lesson plans for both experienced and new art teachers. Children of all ages and experience levels can be guided by adults and will enjoy these engaging exercises.